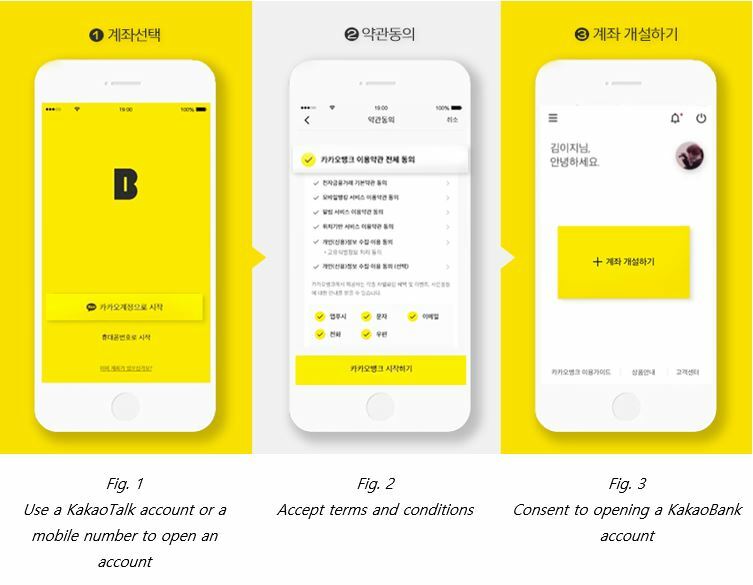 Messaging platform KakaoTalk has successfully entered the banking industry in Korea after obtaining a license from the regulator FSC in April this year. It was designated as one of the two online-only banks in the nation. This will likely be a critical disruption to a sector that has enjoyed a long period of stability but has lacked innovation. KakaoBank was established in January 2016. It is led by chat platform KakaoTalk which has a 10% stake but the major shareholder is Korea Investment Holdings, a major financial group in Korea. It has positioned itself as a mobile only bank with no physical branches. All activities occur over the app which is a natural extension from its main messaging app KakaoTalk. KakaoBank fully leveraged the advantage of being linked to the leading messaging platform in Korea, KakaoTalk which is used by 42 million users out of the 50 million population in Korea. 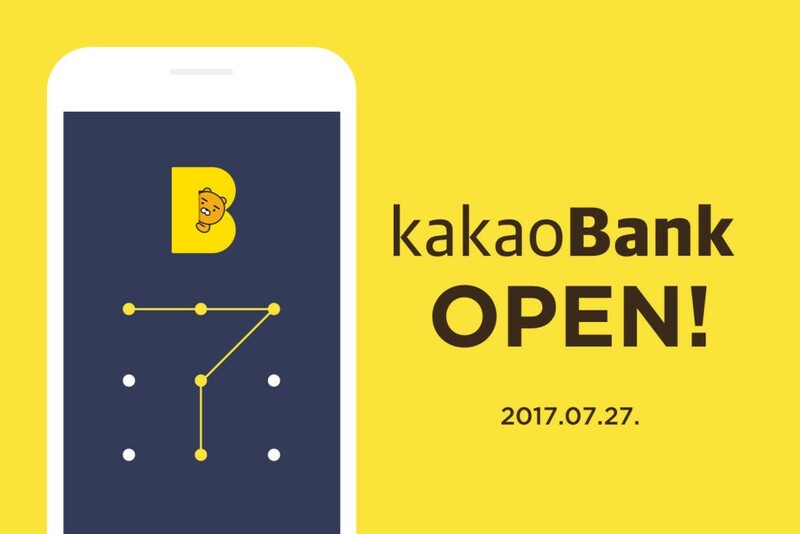 Within just 24 hours of opening on July 27th 300,000 new accounts were opened with KakaoBank (this is more than what all other Korean banks got in 2016 through online channels). The number continued to rise throughout August. We estimate KakaoBank took close to 45% market share in all new bank accounts opened in August – including both offline and online. If we only count the mobile internet based accounts it was almost a 70% share. It extended US$1.2 billion in credit loans during August and this again accounted for 40% of the country’s total loans during the month. Opening a bank account only took 5-7 minutes on average and the only document required was a photo of your ID card. This is revolutionary as it saves the time and effort of visiting a bank, waiting in line and then filling out lengthy forms. The ease of opening an account was not the only selling factor, KakaoBank also offered loans with interest rates that were as low as 2.86% compared to the 6-19% range of traditional banks. The approval process was also as quick and easy as the account opening. The third factor was the low commission fee on overseas money transfers. The rate offered was as low as US$5 which is again almost much lower than traditional banks, so it was hard to think of a reason not to open a KakaoBank account. The fourth factor was the relatively high deposit rate which was 1.2% in annualized rates. There were some skeptics on the quality of KakaoBank’s customer base, but those figures look solid as well. Over 70% of the customers have also applied for a bank check card which shows the actual usage rate of the bank accounts. Also 88% of the loan applicants have high credit scores meaning their credit is good enough for competitive rates. KakaoBank’s revolution can be summarized in two words, “speed” and “convenience”. 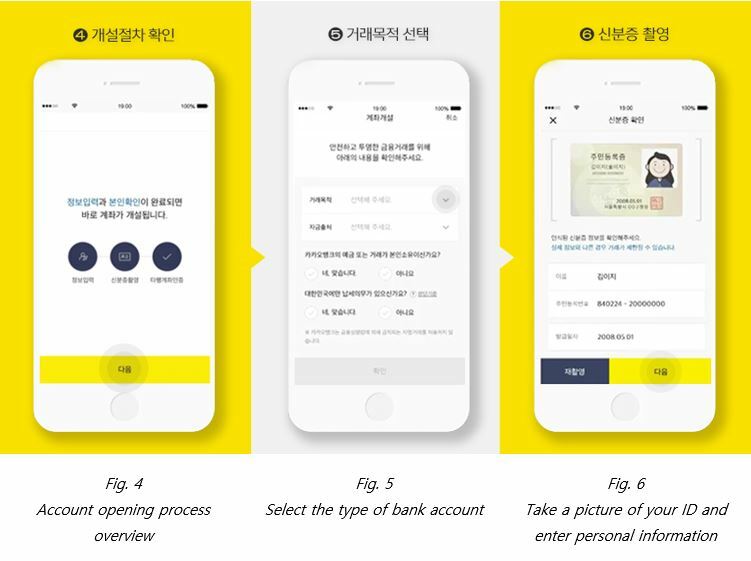 Consumers had been waiting for innovation to come to the finance sector and KakaoBank has delivered this by offering speed and convenience through a smartphone. KakaoBank took advantage of its dominant messaging platform, KakaoTalk, which lowered its marketing expenses and brought a feeling of security through the familiarity of the brand. We expect KakaoBank to enter the list of top six or seven banks in the country by next year. Despite initial success, KakaoBank will have to stay alert as there will be many challenges ahead. The lucrative mortgage loan market remains untouched as the mobile-only screening is not sufficient. Also, the existing customer support cannot keep up with the growing client base, so there needs to be constant investment in the infrastructure to scale with demand. As KakaoBank grows to a sizeable level, regulatory issues are bound to arise. The government might realize that there are needs to implement stringent compliance measures and screening processes as there is always a risk of identity theft and fraud. Such cases could potentially increase with the growing client base. It’s a good start for a new breed of bank born purely from mobile and the net interest margin of 2.5%, which is the difference between the loan interest and the savings, looks good for healthy growth. Since the birth of smartphones, there has been a mobile revolution going on and there will be no industry left undisrupted. The finance industry is no exception. In contrast with the success of KakaoBank, Citigroup has announced plans to shut down almost 70% of its branches in Korea this year and Standard Chartered is also considering reducing 25% of its branches in the country. With KakaoBank in business, this trend will only be accelerated. Korea is just one example and this may now happen in China, Europe, Japan and anywhere else in the world where there is a high rate of penetration of digital banking. Korea has been considered as an economy with the highest penetration of digital banking, with 96% of the population using online banking in 2014, which made it ripe for innovation. We believe that the financial industry just might have had its iPhone moment but in a small unnoticed market first. We will see more internet startups entering the financial industry now, challenging traditional brick-and-mortar banks. Jene (Jin Suk) is a Senior Research Analyst at Counterpoint Research based on Seoul korea, Since he started his career in Samsung, he experienced various industry and jobs including Strategy Consultant in international Consulting firms. To pursue his major interest in smart devices and connectivity, he joined Counterpoint Research team. In academic side, Jene holds a Bachelor of Economics degree in Yonsei Univ in Korea.